"I've had clients die while they wait for a hearing"
It currently takes more than two years to get a hearing in front of a Social Security judge in Manhattan, according to the site. It’s almost as bad in Queens and Buffalo, where it takes 22 and 23 months, respectively. That’s compared to Boston, where it takes just 9 months, and Detroit, where it takes 11 months to see a judge. "I’ve had clients die while they wait for a hearing," said Brian Mittman, a White Plains attorney who represents injured workers trying to access Social Security benefits in New York. "I needed to sell my jewelry to help out with bills," she said. "I worked hard all these years and it just felt like I have to wait this long to see if I can get this benefit. It’s very discouraging." An audit conducted last year by the Social Security inspector general blamed the long waits on insufficient staff, low morale -- and too many Social Security employees working from home in New York. "This is the worst managed place I have ever seen," Zham said. "If we had a full complement of staff, teleworking three days a week might well be sensible. But when you don’t have enough staff there is no one in the office to do the work that needs to be done, you have a problem." 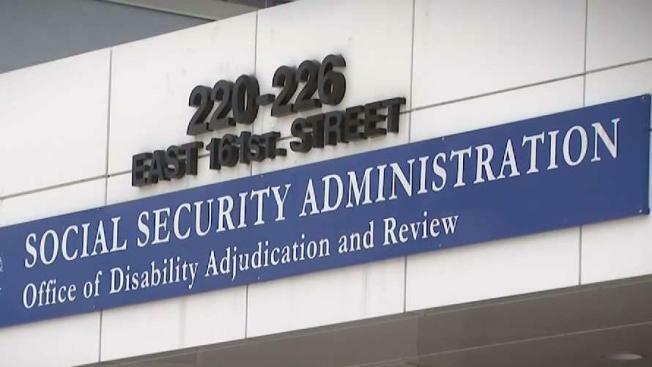 In April, Stephanie Hall, the acting deputy chief of staff for the Social Security Administration, wrote a memo responding to the inspector general audit. In it, she agreed with the auditors’ recommendation that teleworkers should be recalled to their official duty stations on an "as needed" basis.